I have a bunch of virtual t-shirts. Workaholism lurks at the water cooler! As a recovering workaholic I am fully aware of the perils of workaholism – from mental and physical exhaustion and illhealth, to strained relationships and decreased productivity. Even Melinda Gates, wife of Bill, has spoken out against workaholism. In the early Microsoft and Apple days, everyone worked crazy hours and achieved incredible results. But a year later they were all gone. And, of course and tragically, Steve Jobs died young. However it’s one thing for me to be conscious of these workaholic perils, and quite another to change the workaholic habits I’ve spent decades cultivating. But such an opportunity to change my bad habits arose 13 days ago. Monday 23rd October is Labor day in New Zealand – a public holiday. Usually public holidays mean nothing to me. I view them as opportunities to catch up on outstanding work from the previous decade. So while I’m getting much better at treating weekends like weekends, I was planning on working on Labor Monday. Fried, as well as being the co-author of ‘ReWork‘, was both scathing of the American workaholic culture and a fan of the highly productive German work-life ethic. He discourages workaholic tendencies in his staff – assuming that anyone working long hours is likely working inefficiently and unsustainably. In contrast the Germans, with one of the most productive European economies, clock off at 5pm and have a life. They have generous annual, parental, and sick leave. They actually take more sick leave than the British, yet still have a more productive economy. Go figure. I suspect that by actually taking sick leave, Germans likely recover quicker and don’t infect their colleagues with their bugs. So I asked my t-shirt the question. What would a German do on a public holiday – would they work? So I didn’t. I spent the day in bed reading a great novel. Finished it, and emerged for a double yoga class in the evening. That night I slept like I’d taken some very good drugs (I imagine – but in a sense I had), and woke feeling like a million bucks. 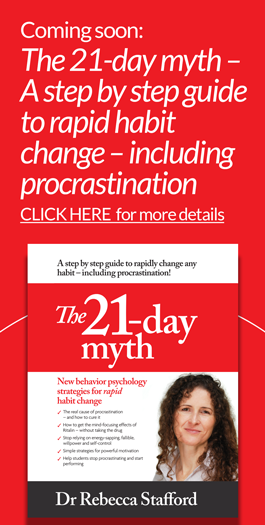 Lastly – “The 21 day myth”: e-book or print book? But as part of the process I’ve been talking to publicity and publishing experts. The strong message from these people is that for my book to achieve the outcomes I want – getting this potentially life-changing information out to as many people as possible – I should do a print book first. Now that I’ve adjusted my discombobulated brain, I’m quite keen on the idea. But it does up the stakes. A lot. I’ll keep you posted about my book publishing journey. 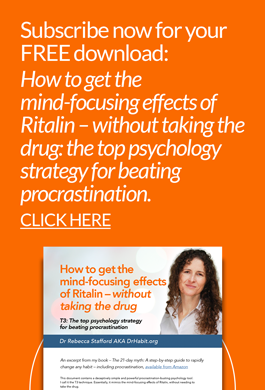 You can subscribe here and get my FREE procrastination-busting download; How to get the mind-focusing effects of Ritalin without taking the drug – the top psychology strategy for beating procrastination. Be a hero the easy way. 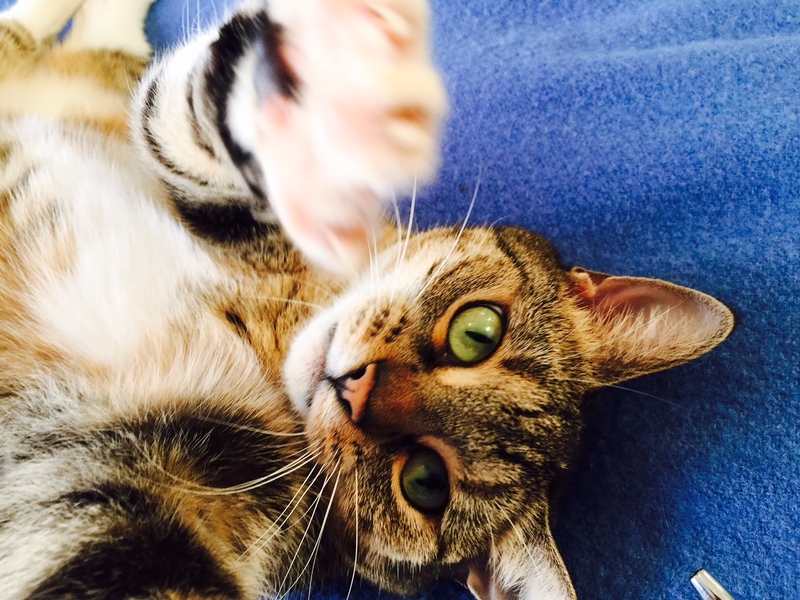 If you have found the contents of this email slightly useful, mildly entertaining, or just not too annoying, please consider forwarding it to your kindred spirits. “The cave you fear to enter holds the treasure that you seek” – sounds like a Yoda quote to me, but is ascribed to Joseph Campbell – who is well known for ‘the hero’s journey’ (any Mill’s and Boon contains a reductionist version of this plot) and was heavily influenced by Freud. You can read more of Joseph Cambell’s Yoda-esque quotes here. I bet he has a few things to say on workaholism.